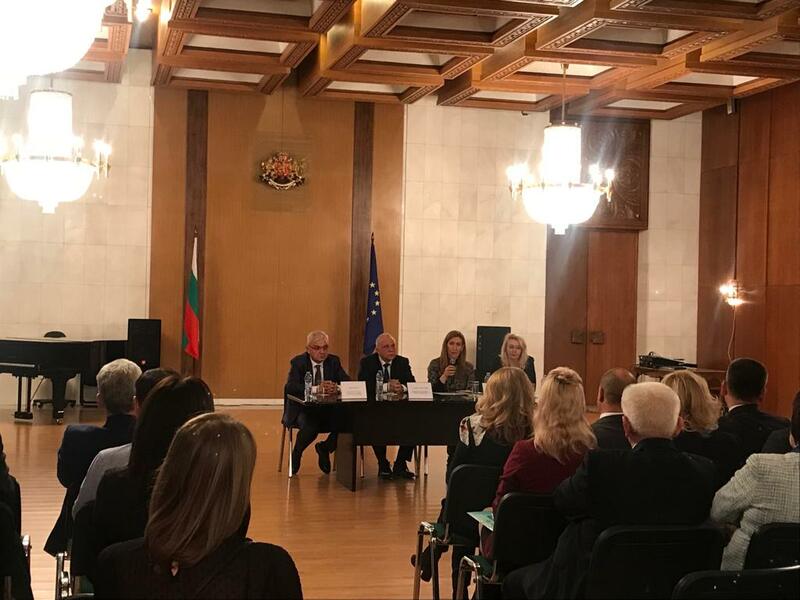 “The Bulgarian tourism has huge potential which we can develop with joint efforts in order for Bulgaria to become the preferred destination of the Russian tourists and the Federation to get back its place as one of the leading markets for summer tourism in our country”. These were the words of the minister of tourism Nikolina Angelkova during a meeting in Moscow with representatives of the tour operators working for destination Bulgaria. She was in the Russian capital on an official visit with the Bulgarian parliamentary delegation. “I can assure you that the Ministry of Tourism as well as the whole government evaluate the importance of the sector as horizontal and depending on the efforts of many people from various fields. For us, it is of extreme importance to guarantee the safety and security of the Russian tourists, “ ensured minister Angelkova. She pointed that not only the sea and summer holiday were important for the Russian customers, but the cultural, historic and sport tourism were also getting more and more important. “We continue our efforts for joint programmes for children’s holidays which are of great importance in our advertising and marketing policy. We also popularize the excellent possibilities of our country for health tourism. All this makes the tourist product we offer very good,” said minister Angelkova. “The connection with the regions is also of extreme importance for us,” emphasized minister Angelkova. “For sure the possibilities for transport access to Bulgaria are of extreme importance. I would like to thank the vice-president and minister of the interior of Bulgaria Ekaterina Zaharieva that the negotiations have been finalized and that from February there will be 59 outsourcing visa application centers in Russia where you can apply for documents for travelling to Bulgaria. I hope this will facilitate your efforts, “ said the minister to the tour operators. She also thanked the members of the parliament who were accompanying her during that visit as the support of the National Assembly also considerably encouraged the sustainable development of the sector. Minister Angelkova informed the tour operators that a joint Bulgarian-Russian investment forum was planned in April this year in Veliko Tarnovo and invited them to participate. She was also pleased with the excellent partnership with the executive director of the Association of Tour Operators of Russia (ATOR) Maya Lomidze and the members of the association. During the visit in Moscow an agreement was reached Bulgaria to be host of the annual meeting of the Russian tour operators in the beginning of April this year. “This will grant additional possibilities as the representatives of the tourist business in Russia will personally see the diverse and various possibilities which our country can offer for holiday to the Russian tourists, as well as the contemporary accommodation and the quality of the services in the Bulgarian hotels,” said minister Angelkova.